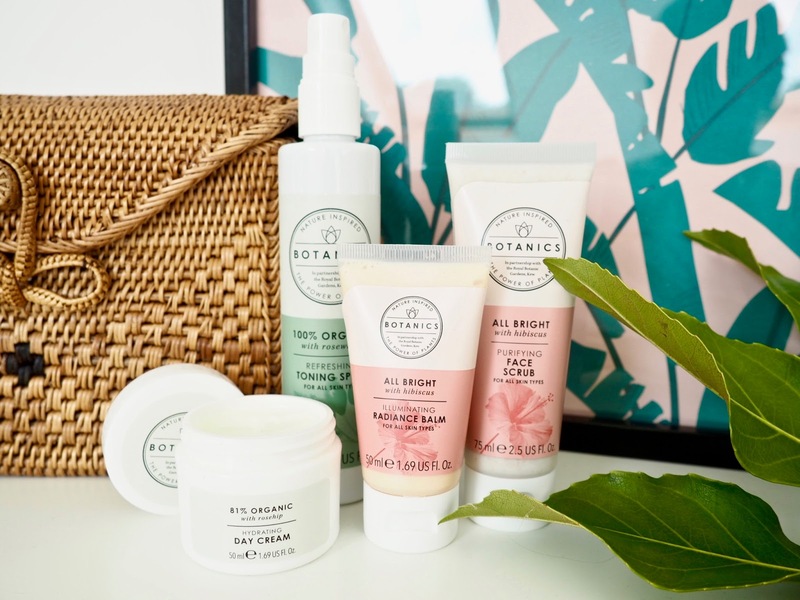 Recently I was approached by the brand botanics and asked if I wanted to create content with them and after looking through their instagram, I thought *why not? * I mean just look at the products to begin they are so dreamy looking and so photogenic. That's not the only reason though. I loved the fact the brand was all natural and plant based. Sometimes the thought of all the chemicals in other skincare is a little scary and the damage it's probably causing slightly *shudders* The products use high quality ingredients and they don't test on animals, sold yet? I am thoroughly enjoying the products and so is my skin especially with burst of late summer we've been having they are just gorgeous! Rosewater Toning Spritz - This weather recently, damn is it hot again! After spending the day on the beach and then taking off the salt water and sand in the shower, my skin still felt hot and just not quite clean enough, but a few spritz of this and wow. Honestly, it not only made the skin feel rejuvenated and cleaner but it really was so calming and refreshing my skin loved it. Also the smell is so refreshing too. In all honesty a lot of my skincare doesn't have a smell that instantly makes me think *awww* but even the smell of this is refreshing. Absolutely perfect. Hyrdrating Day Cream - If there is one part of my skin care I always always ensure I keep up, it's moisturising every day/night (let's be honest we've all been tired or lazy from time to time and not done the whole skincare routine) I will give any moisturiser a go, I just love keeping my skin radiant and hydrated, even on a very hot day it sunk in quickly and left no greasy feel to the skin. 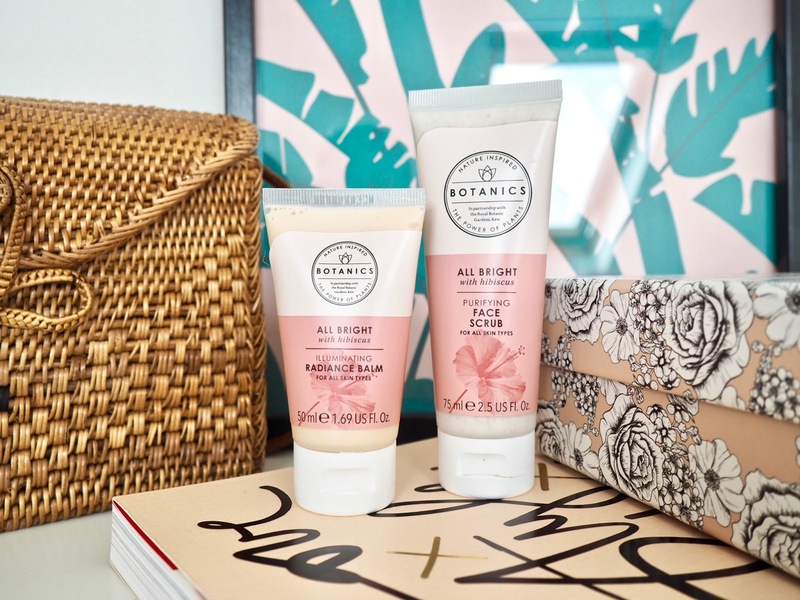 My skin feels just as soft as when using other moisturisers, not to mention the benefits of rosehip giving omega-3 and 6 essential fatty acids that really do help to nourish the skin. All Bright Purifying Scrub - I am all for anything that exfoliates my skin and leaves it all bright and glowing not only is hibiscus my favourite flower but it also has brightening properties which I am always looking for in my skincare as I love that bright glowy look and when my face started to peel due to a little sunburn it really did stop the peeling, not completely but I didn't look so flaky and gross and that along with the moisturiser both worked so well together. All Bright Radiance Balm - Now I know I already mentioned I love a bright glowy look and girls, this is the true answer to it all. This little beauty can be used as a primer to give you a glow when applying make up, or I wear it just by itself as I don't wear foundation and things and it's given me such a glow, granted when I first tried it I was burnt and it did bring out the redness but since that's gone and my face is now tanned it really does give me that last of the summer healthy glow and it's all thanks to hibiscus and its richness of AHA's giving that gorgeous luminous look. I'm hoping this gives me that lasting summer glow even when the weather turns cold and miserable! * sponsored post - however all opinions are my own. If you too want to get your hands on these products too use BOTANICS2 when you shop online to get £2 discount at check out. 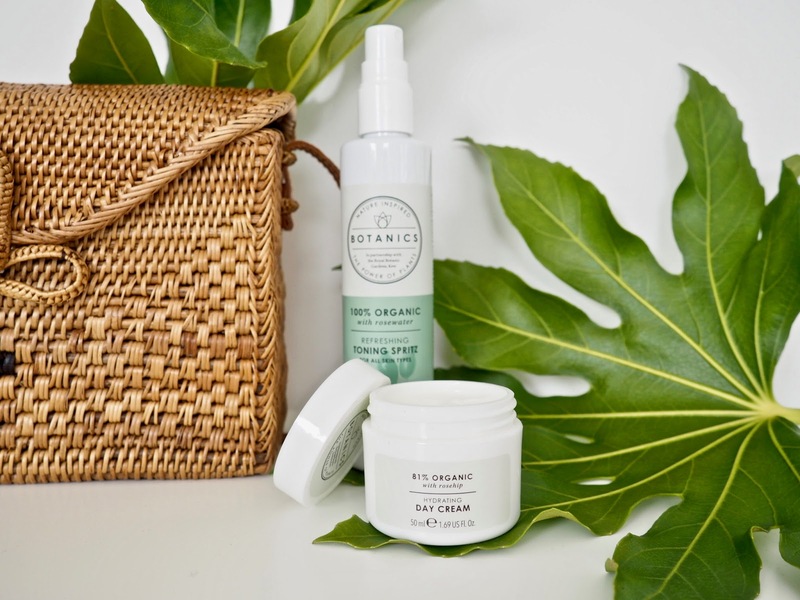 That radiance balm sounds amazing! So versatile! Love their new packaging! The exfoliator looks lovely. Ahh their packaging is sooo fab as well as your photos!! Everything about these products sounds amazing!